“Mystery” is a word (along with “splendour” and “glory”) beloved of PR agents and press officers, chosen to pique public interest and exhibition attendance. In the case of The Silver Caesars: a Renaissance Mystery, though, the terminology is apt. This small show at New York’s Metropolitan Museum of Art is formed of a set of 12 silver-gilt tazze or table ornaments that first appeared in 1826, with no history. At the time, it was believed they had been made by Cellini and the set was soon broken up; at least half of it ended up in the Rothschild family collections at one time or another. No fewer than 11 scholars have contributed essays to the exhibition catalogue, and the consensus now seems to be that the set was probably made at the end of the 16th century for a member of the Habsburg dynasty. But little more is known about the tazze, hence the mystery. 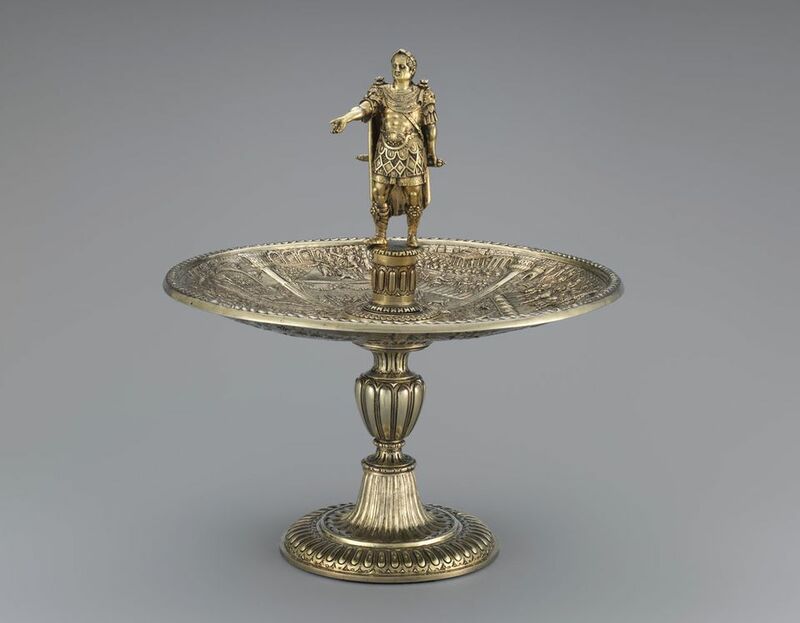 The subject is suitably imperial for a Habsburg: emerging from each tazza is a foot-tall sculpture—the set depicts Julius Caesar and the first 11 emperors (following Suetonius’s De Vita Caesarum)—above a quadripartite dish, supported by a classical pedestal, that illustrates scenes from the depicted Caesar’s life. Made entirely of silver, the tazze were gilded in the late 19th century. Most are in private collections, which makes this exhibition a rare chance to see the set in its entirety. The show will travel to Waddesdon Manor in the UK next year. • The Silver Caesars: a Renaissance Mystery, Metropolitan Museum of Art, New York, 12 December- 11 March 2018.